I want to create a drop down function with multiple columns, but have different information in the different colums. So I am putting together a player schedule for tennis with three levels of events (ATP, Challengers, and Futures). Those events serve as the columns. Each week there are different events in those three levels (those serve as the rows). Is it possible to put different information in each drop down? You are currently using a Matrix field. Unfortunately, you can't do it with Matrix. You may consider using our configurable list widget: http://widgets.jotform.com/widget/configurable_list. 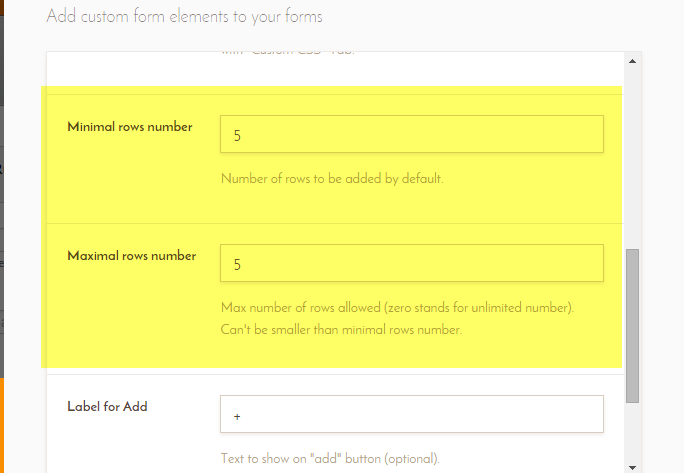 If you would like to add 5 static rows, simply put 5 to both boxes. Here's our guide for the configurable list widget: https://www.jotform.com/help/282-How-to-Set-Up-the-Configurable-List-Widget.